6LACK is gearing up for the release of his highly anticipated East Atlanta Love Letter on Friday. Featured artists joining Bear on the LP include fellow ATL natives Future and Offset, who shows up on the lavish "Balenciaga Challenge." A previously teased track with an assist from J. Cole made the project's final cut, in addition to the FREE 6LACK artist teaming up with rising R&B star Khalid.Outside of the listed cameos, there is a "Thugger's Interlude" under track No. 9. 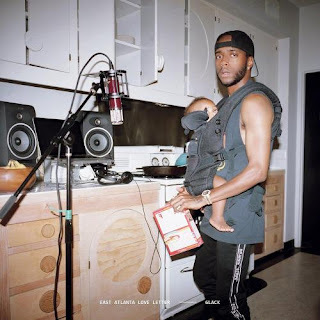 6LACK interestingly closes East Atlanta Love Letter paying homage to Eminem's 2000 hit with "Stan." The album is now out in select international markets, stream/preview it below. Check out the East Atlanta Love Letter track list below.